A coat hanger made to last a lifetime or more! Biome exclusive. We designed this beautiful quality, plastic free coat hanger from strong 304 grade stainless steel so you will never need to buy another. Made with one piece of wire wrapped around the neck so there is no solder join to rust, nor twist to snap. Indents hold top straps in place, while fitting business shirts perfectly. We are thrilled to introduce this high quality, sturdy coat hanger that has been thoughtfully designed by Biome to be an item you will treasure for life. The solid stainless steel wire is wrapped around around the neck, rather than a join that on other metal hangers is usually soldered. Those join or twist points are the weak spot where other hangers eventually rust or break. 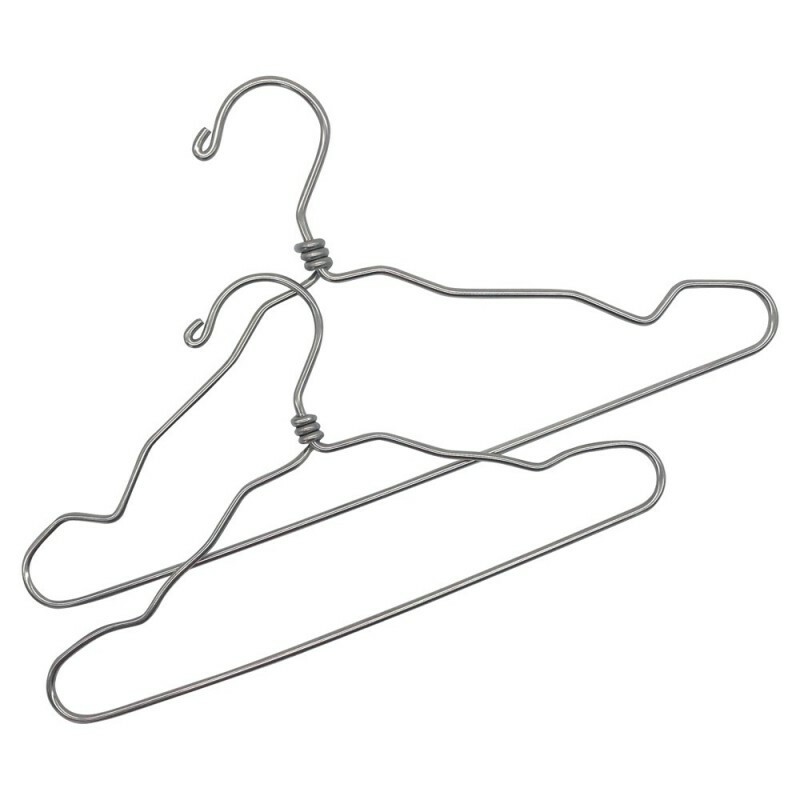 We understand that many of us re-use discarded or second hand hangers, and we love that! Please do keep them in the loop rather than sending to landfill. Our hangers are an option if you are buying new ones. Buy once for life - in fact, you'll be able to hand it on to future generations! Made from 304 grade stainless steel that is rust resistant. In a marine or salty environment, the stainless steel may still rust if left exposed to the weather. One piece of solid stainless steel wire so there is no join to break. No powder coating or paint - just pure polished stainless steel. Nicely rounded edges with no sharp ends. Will not tangle up, nor break at the neck like thin 'dry cleaning' hangers. Will not break like plastic. Use for hanging washing on the line - but do not leave outside in the weather in salty environments. Note the second image that shows both the adult size coat hanger and child size hanger for comparison. 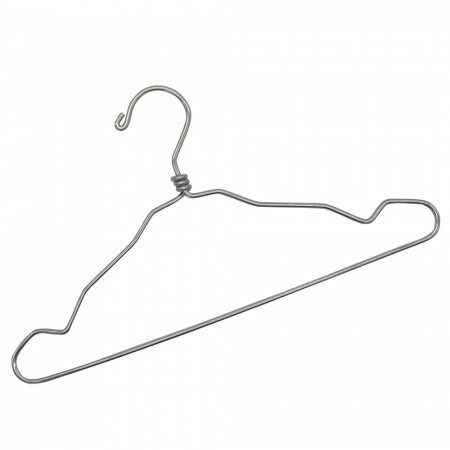 This hanger weighs 182gm making it heavier than a thin wire 'dry cleaning' hanger (32gm) and will not be suitable for more than 15 on a flimsy clothes rack. In a wardrobe that has a solid steel or strong wooden bar it should be fine to use as many as you wish. Width from left to right: 40.5cm. See all our laundry products here. I purchased one first to check out before buying the 10 pack. Loved it so then purchased the 10 pack. Will be buying more when I need more.